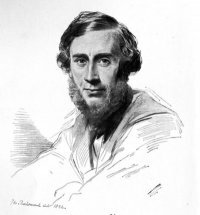 I am a former member of the John Tyndall Correspondence Project, a multi-university collaborative effort to transcribe all of the letters to and from the nineteenth-century physicist John Tyndall (1820-1893). The volumes of the Tyndall Correspondence are now being published by the University of Pittsburgh Press. I co-edited the second volume of the Tyndall Correspondence with Prof. Janet Browne. That volume covered the years 1843-1849, a period in Tyndall’s twenties that saw him employed as a civil assistance for the Ordnance Survey, a railroad surveyor, and a teacher before he decided to pursue a PhD in Marburg, Germany. Interested in the Tyndall Project? Visit our Facebook page, where I post interesting excerpts from Tyndall’s letters and other Tyndall-related news!